Thanhouser Company Film Preservation, Inc.
Ned Thanhouser is president of Thanhouser Company Film Preservation, Inc. He is the grandson of founders Gertrude and Edwin Thanhouser and has been actively involved in the research, acquisition, preservation and publication of education materials related to the early silent motion picture era since 1986. Mr. Thanhouser has been active in film preservation related activities since 1986 and was a member of the 1994 NEA/AFI Film Preservation Grant Board. 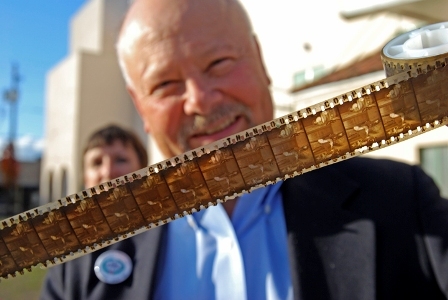 With his family, he established in 1988 the Thanhouser Film Preservation Trust at the Library of Congress to fund the acquisition and preservation of nitrate-based Thanhouser films. He has worked with film archives around the world, including The Library of Congress, Washington, DC; The American Film Institute, Los Angeles, California; The National Film and Television Archive, The British Film Institute, London, England; The Museum of Modern Art, New York; George Eastman House, Rochester, NY; and The Netherlands Filmmuseum, Amsterdam, Holland, to locate and assure the preservation of surviving Thanhouser films. Working with film archives and private collectors, Mr. Thanhouser has produced 16 DVD discs containing 67 surviving Thanhouser films making these rare titles available to researchers, scholars and film lovers after almost 100 years since they were last seen by the general public. Mr. Thanhouser also worked with film historian and author, Mr. Q. David Bowers to publish on CD-ROM his exhaustive book on the Thanhouser Film enterprise: Thanhouser Films: An Encyclopedia and History. Thanhouser Company Film Preservation, Inc. is a 501(c)(3) organization incorporated in 1995 that uses funds generated through the sale of video and CD-ROM products and contributions from public and private sources to support ongoing identification, cataloguing and preservation of Thanhouser films and ephemera. In October 2014, the company premiered the 52 minute documentary THE THANHOUSER STUDIO AND THE BIRTH OF AMERICAN CINEMA at the Pordenone Silent Film Festival in Italy. This documentary film about the history of the studio and early cinema in America is now available on DVD, BluRay, or online at www.vimeo.com/ondemand/thanhouser. Copyright © 1997, 2004 Thanhouser Company Film Preservation, Inc., All rights reserved.